Tickets are now on sale for the main-stem premiere of American Son, a new work by Broadway-debut playwright Christopher Demos-Brown. Tony winner Kenny Leon directs the production, scheduled to begin previews on October 6 with an opening slated for November 4 at the Booth Theatre. 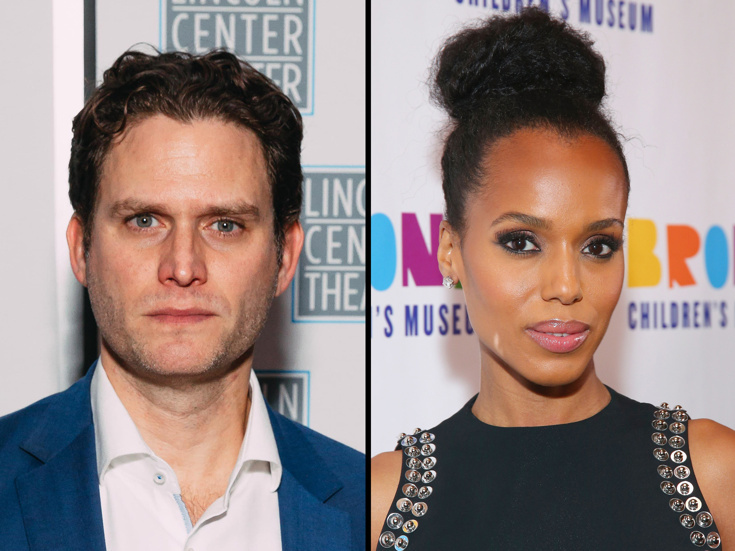 The cast is led by stage-and-screen stars Steven Pasquale and Kerry Washington. American Son takes place at a Florida police station in the middle of the night, where a mother (Washington) is engaged in a search for her missing teenage son. Soon her husband (Pasquale) appears, and the evening spirals out of control. The cast of American Son will also include Eugene Lee. The play will feature scenic design by Derek McLane, costume design by Dede Ayite and sound design by Peter Fitzgerald. Seen in prior productions at George Street Playhouse and Barrington Stage Company, American Son was awarded the 2016 Laurents/Hatcher Award for Best New Play by an Emerging Playwright. Kerry Washington and Steven Pasquale star in the Broadway premiere of Christopher Demos-Brown's drama.